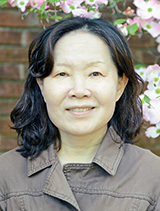 Associate Scientist Won Kim Cook‘s new project seeks to better understand the risk relationship between harmful drinking patterns and chronic health conditions, in particular cardiovascular and cerebrovascular disease (CVD), which is the leading cause of death for Asian Americans. Her work will also look at diabetes, hypertension, and high cholesterol as conditions that increase Asian American’s risk for CVD. Won’s three-year study (NIAAA R21AA026654) is the first US-based research to examine the relationship between drinking and these conditions in Asian Americans.